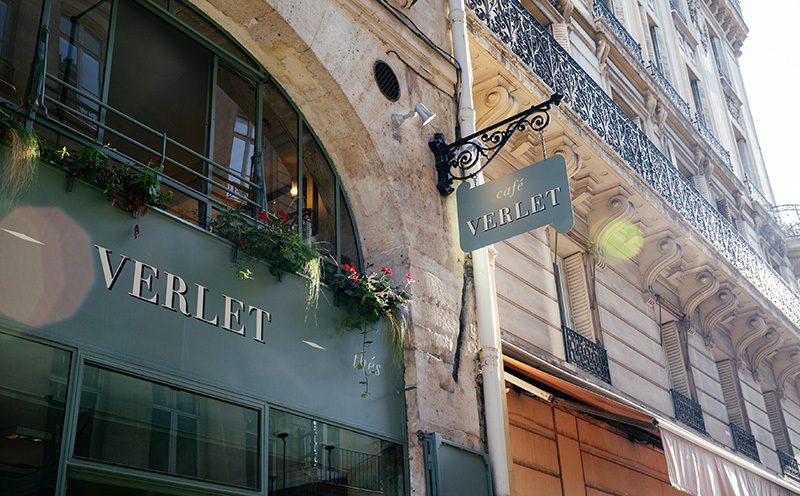 Verlet has been a purveyor of teas, coffees, spices and candied fruit since 1880. 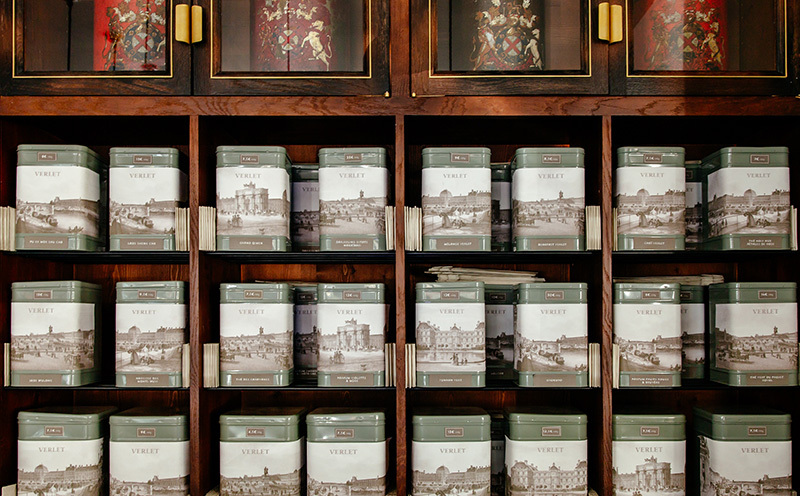 Heir to a French tradition of roasting and brewing, and devoted to discovering local and regional coffees as well as exceptional teas, Verlet invites enthusiasts to sample more than thirty pure origin coffees and over forty teas from the best plantations in the world. 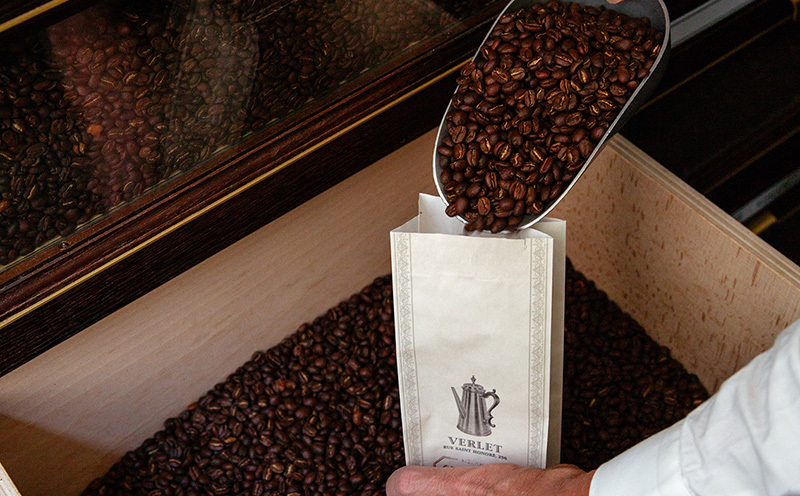 Verlet is the oldest Parisian coffee company still in operation, perfecting the craft of roasting and brewing as well as promoting appreciation and expertise « à la française ». In its coffee shop in Paris on the rue Saint-Honoré behind Palais-Royal, Verlet roasts and brews each craft coffee according to type and depending on the occasion. 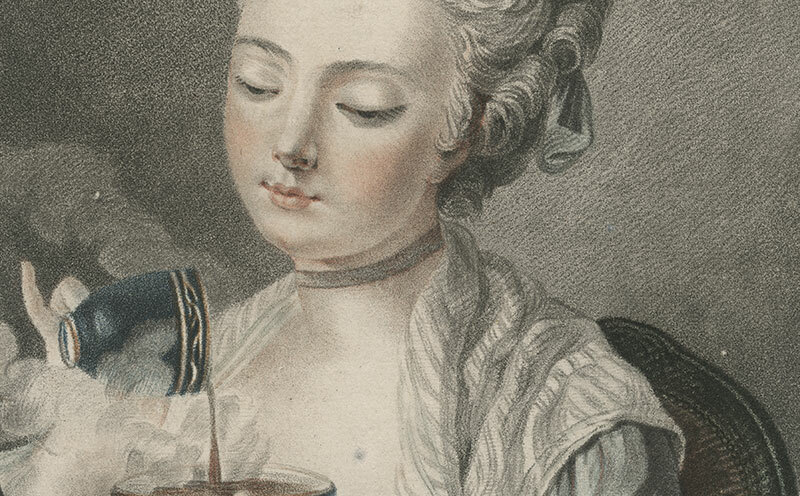 This exceptional French roasting is renowned for its colour « Robe de Moine ». At Verlet you may enjoy breakfast, lunch, tea, coffee or hot chocolate in a setting inspired by the 1920s.